Five candidates running in Saskatchewan's April 4 election have impaired driving convictions, including three from the Saskatchewan Party and two from the Saskatchewan NDP. Five candidates running in Saskatchewan's April 4 election have had impaired driving convictions, including three from the Saskatchewan Party and two from the Saskatchewan NDP. 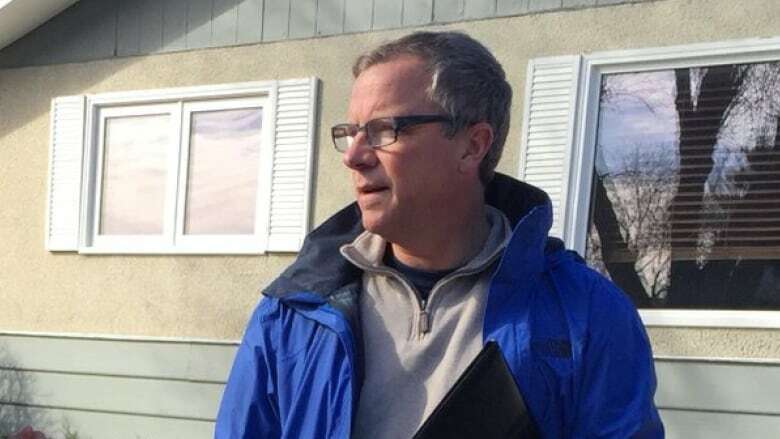 Saskatchewan Party Leader Brad Wall says he's "more than comfortable" knowing three of his candidates have past criminal convictions, adding that parties need to be accountable for the teams they put together. 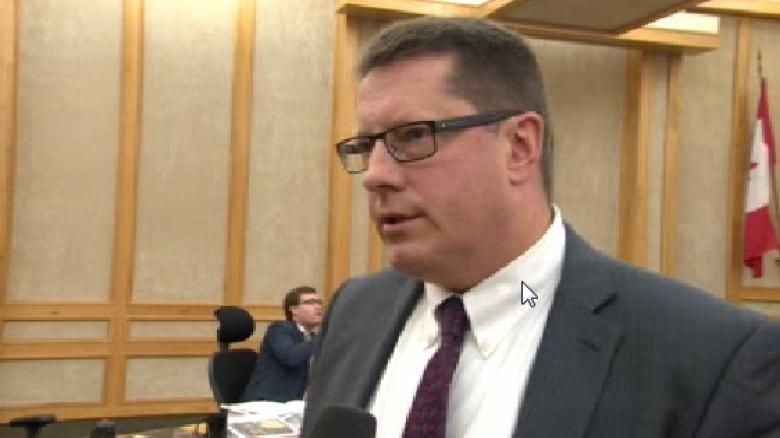 On Monday, when asked by a reporter how many Saskatchewan Party candidates have criminal convictions, he confirmed there are three: Terry Dennis, who's running Canora-Pelly; Eric Olauson, who's running in Saskatoon University; and Scott Moe, who's running in Rosthern-Shellbrook. Former Canora mayor Dennis was twice convicted for impaired driving. Moe and Olauson also have impaired driving offences in their pasts. According to information released by the Saskatchewan Party, the charges against Dennis were from 1979 and 2001. He was 17 years old at the time of his first offence. The Saskatchewan Party said Dennis has been open about his past mistakes. Dennis was elected as mayor of Canora four times after the convictions. Moe was charged with impaired driving when he was 18 years old in 1992. He spoke with the local newspaper in his area, the Shellbrook Chronicle, before running for office. Olauson was charged twice — in 1992 and 1993 for impaired driving. The Saskatchewan Party has said that he has since received treatment and counselling. Olauson told CBC News those convictions happened a long time ago and he's been sober for the past seven years. "You know, I'm not proud of it, I don't condone it, but it's part of what makes me who I am today, and I'm proud of what I've done since then and I'll continue to do that work," Olauson said. Olauson's first brush with the law happened on the way to a Saskatchewan Roughrider game when police pulled him over for speeding — that led to one impaired driving charge. The second instance happened when he was on his way home from a party and was pulled over just a few blocks away from home. The Saskatoon city councillor said he was in his early 20s and has learned his lesson. "Was it the right thing to do? Absolutely not. I would never condone it and I would feel sick if my kids, who are now getting to that age, did it, but I'm proud of the way I responded to it and I haven't done it since and I don't plan on doing it again." Wall defended the three as candidates, including Dennis, saying he wants to have him in the legislature, representing constituents of the town and its surrounding area. "These things are disclosed to us and decisions are made," Wall said. "And I expect similar things are disclosed to other parties. It's part of our vetting." "We make a decision on a case-by-case basis, about what the person's done to turn things around, how they've contributed since. And in these three instances we're more than comfortable, more than comfortable, having them as candidates and want them to be MLAs, want them to be part of our team." The NDP also released information stating that two of its candidates had convictions, after the Saskatchewan Party made public the information regarding its candidates earlier in the day. Dwayne Lasas, who is running in Meadow Lake, and Lyle Whitefish, who is running in Saskatchewan Rivers, faced charges and paid fines relating to drinking and driving, the party said. Lasas was convicted in 1990. Whitefish said his charge dates back "more than five years." The NDP has said both of these candidates disclosed these charges before joining the party. The NDP said that while it does not condone drinking and driving, both candidates have made clear they regret their actions. The party has also said that it has been reassured by both men's behaviour since the charges. NDP Leader Cam Broten also spoke Monday about candidates' behaviour on social media. With the campaign less than a week old, four NDP candidates have already been dropped as a result of things they once said in online posts. The internet is full of bad humour, and off-colour jokes, but a line can be crossed when it comes to certain issues, Broten said at a campaign stop in Regina. In his comments on Monday, Wall referred to one of the NDP ex-candidates, Saskatoon-Northwest's Clayton Wilson, who was cut for making a sexist post on Twitter. "When his comments were disrespectful of women and making light of sexual harassment, I would say, there's the example of probably crossing the line," Wall said. "Mr. Broten agreed with that."